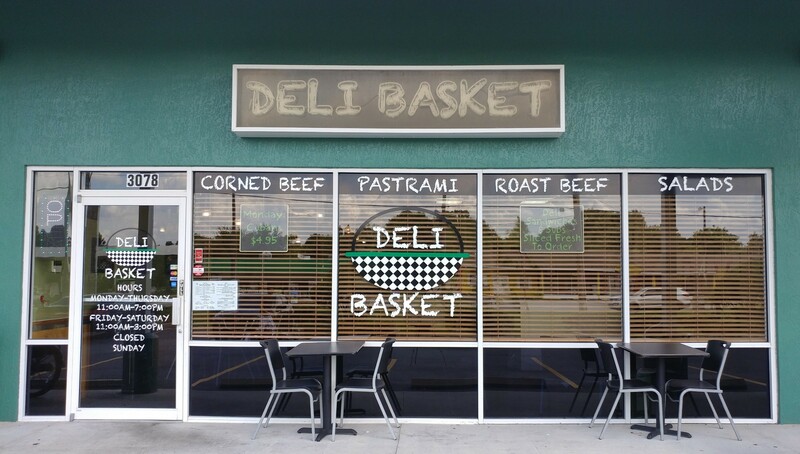 Your authentic deli experience starts with bakery-fresh breads, delicious cheeses & freshly sliced meats. All items are hand-crafted to order ensuring freshness and flavor. We genuinely appreciate our customers and our friendly staff makes certain you'll enjoy every last bite! We offer dine-in, carryout and catering. We also deliver up to a 5 mile radius! Call in or stop by today! Ranch, Thousand Island, Bleu Cheese, Creamy Italian, Zesty Italian, Lite Italian or Honey Mustard. Also comes with Club Crackers or Croutons. Romaine Lettuce, Shredded Parmesan, Caesar Dressing and Croutons. A mix of Iceburg and Romaine Lettuce, Turkey, Ham, Shredded Cheddar, Tomatoes, Cucumber, Onion, Hard Boiled Egg and Bacon Bits. Romaine Lettuce, Parmesan Cheese, Grilled Chicken, Caesar Dressing and Croutons.